陈文, 丁硕毅, 冯娟, 等. 2018. 不同类型ENSO对东亚季风的影响和机理研究进展 [J]. 大气科学, 42(3): 640-655. Chen Wen, Ding Shuoyi, Feng Juan, et al. 2018. 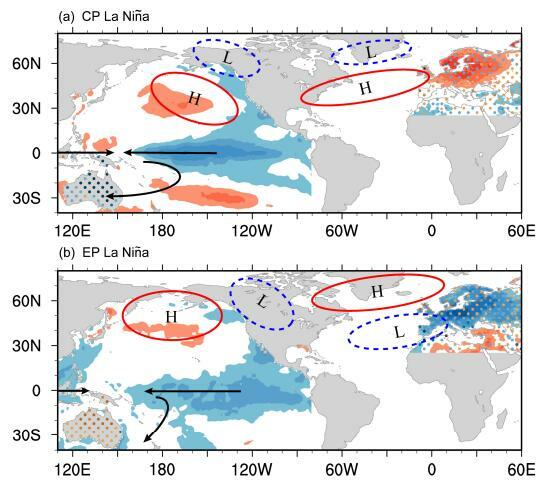 Progress in the Study of Impacts of Different Types of ENSO on the East Asian Monsoon and their Mechanisms [J]. Chinese Journal of Atmospheric Sciences (in Chinese), 42(3): 640-655, doi:10.3878/j.issn.1006-9895.1801.17248. Abstract: In recent decades, different types of tropical Pacific Ocean warming events have received extensive attention. 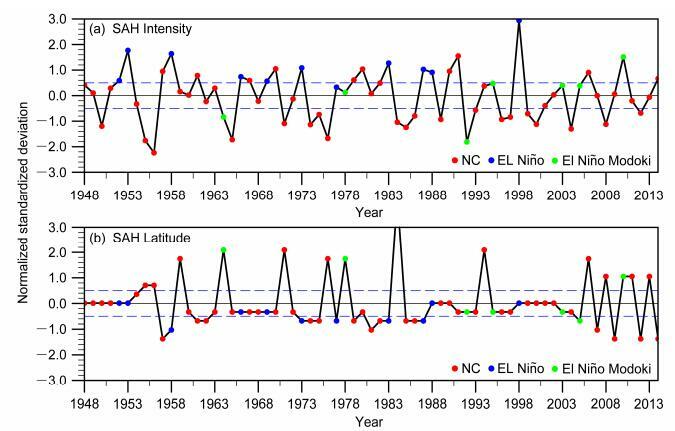 According to the spatial pattern of sea surface temperature anomalies, El Niño-Southern Oscillation (ENSO) is generally classified into two types. One is called the conventional eastern-Pacific ENSO, the other is called the central-Pacific ENSO. 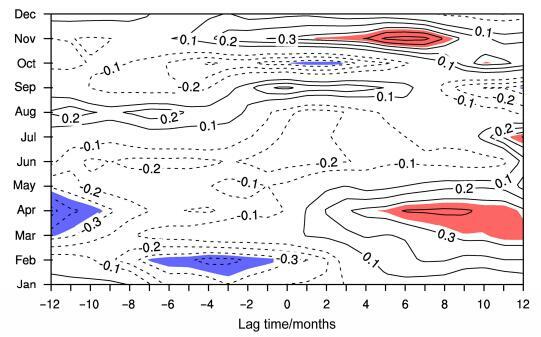 These two types of ENSO are totally different in both formation mechanism and evolution process. Moreover, they also generate different climate responses. 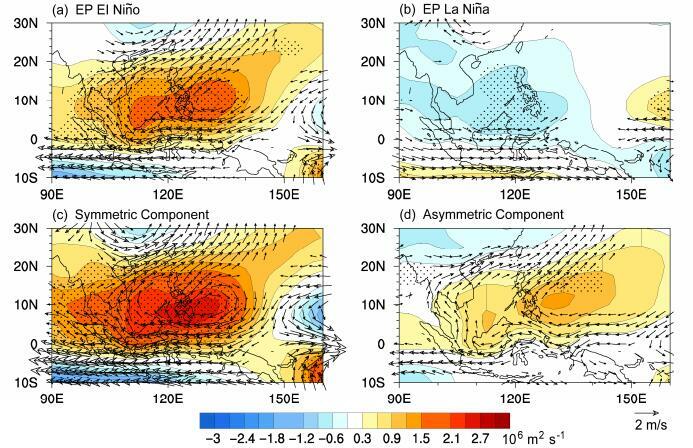 This paper has briefly reviewed the advances in the studies on the different types of ENSO and their climate impacts, and particular attention is given to the main progress of the impacts on the East Asian summer monsoon, the East Asian winter monsoon, and the relationship between the East Asian winter and summer monsoons by the two different types of ENSO and the associated mechanisms. The climate impacts of ENSO on the interannual and interdecadal timescales are mainly focused. Finally, several scientific issues are proposed for future investigation.